At Luna Field Farm we are working to provide you with a wonderful eating experience. Harvested seasonally when they are at their prime finishing weight (mid summer), not when our schedule requires it. Dry-aged for 14-21 days and then cut, wrapped, and frozen, prior to customer pick-up or delivery. Click here to go to our order form page. 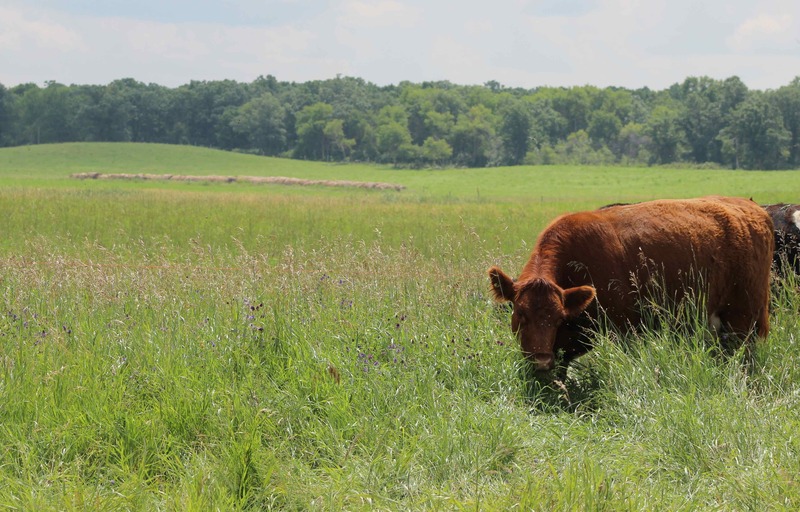 Why is Luna Field Farm’s grassfed beef butchered seasonally? We are mindful of the quality of the finished product and want to provide you with the best eating experience we have to offer. High daily weight gains are necessary when finishing an animal. Cattle need a high carbohydrate diet for the final months of finishing in order for them to gain sufficient fat for the finished product. In a feedlot setting grain (high energy carbohydrate) is used for the finishing stage. In a grassfed system perennial pasture plants shift carbohydrates from their leaves to their roots as day length decreases. As the carbohydrate levels in the pasture drop so does the potential for animal gains and marbling. While high quality alfalfa hay can also be used to compensate for potential carbohydrate shortages we focus on pasture finishing. We need 60-90 days of high gains (high carbohydrates) to finish an animal. In our climate summer and fall provide the best time for weight gain and finishing therefore this is the best time to harvest the animal. Each year we take pre-orders for late summer and fall delivery. We also inventory enough beef to last until early in the new year.